1. The Islamic State of Iraq and the Levant (ISIS) is the largest and most powerful insurgent group in the country today. Since its resurgence last year there has been some discussion about whether ISIS is still connected to Al Qaeda central anymore as Al Qaeda in Iraq was. Where do you fall in this debate? Officially, ISIS is no longer connected to Al Qaeda central since a statement issued by the latter at the start of this month [NB: February, when this interview with me was done] affirming that there is no link between ISIS and Al Qaeda central on account of the disobedience of ISIS' leader Abu Bakr al-Baghdadi when he refused to heed Ayman al-Zawahiri's orders to disband ISIS and retreat from Syria in the summer of last year. Zawahiri's ruling came in response to an appeal from Abu Mohammed al-Jowlani, the leader of Jabhat al-Nusra, who had 'reaffirmed' a pledge of allegiance to Zawahiri to maintain his group as separate from Baghdadi's organization, of which Jowlani had been a member and which supplied the original manpower and financial resources to set up Jabhat al-Nusra in Syria. However, a more debatable question is how long before the official disavowal, if at all, was ISIS and its predecessor - the Islamic State of Iraq (ISI) - tied to al-Qaeda Central. One must remember that ISI was set up in October 2006 as an umbrella group that included al-Qaeda in Iraq. The argument ISIS members and supporters make is that once the ISI was set up, the pledge of allegiance of al-Qaeda in Iraq switched from al-Qaeda central to ISI's leader. In fact, in 2007, Zawahiri himself said there was no longer an al-Qaeda in Iraq, but the group had joined "other jihadi groups" in forming the ISI. ISIS supporters interpret this declaration as a 'blessing' by al-Qaeda central back then for ISI's alleged independence, but my own view is that privately al-Qaeda central probably disapproved of the dissolving of al-Qaeda in Iraq at the time. I think ISI and its successor ISIS have been independent of al-Qaeda central long before the official statement this month clarifying no link between the two, but no explicit affirmation was made previously for the sake of preventing 'fitna' ('strife') among the wider jihad movement. The best indication of the break between the two is Abu Bakr al-Baghdadi's refusal to heed Zawahiri, and the explicit statement disavowing links came only now because of the massive infighting between ISIS and other rebel factions in Syria, which has seen Jabhat al-Nusra- now distinctly emphasizing itself as Syria's al-Qa'ida affiliate- clashing with ISIS. That is, maintaining a pretense of a link has become intolerable for al-Qaeda central, while ISIS members and supporters have in reality never cared for it anyway. 2. ISIS has proven capable of carrying out operations in every region of Iraq from Kurdistan in the north to Basra in the south. What are the main goals of the group and where is it based in Iraq? 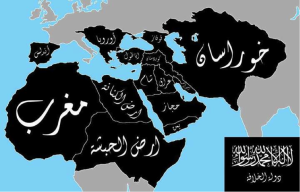 How ISIS has presented its goals depends on the situation. In Iraq throughout much of last year, with the rise of the wider Sunni Arab protest movement, ISIS sought to portray itself as the protector of Sunnis, characterizing operations it took responsibility for as revenge attacks against the 'Safavid' government for alleged crimes like ethnically cleansing Sunnis from the Baghdad Belt area, which was one of the themes that could be heard at many protests. At the time, ISIS had no significant territory in Iraq under its control, even as it could operate with impunity throughout much of the rural areas in the west and north of the country. In contrast, in Syria, where it began seizing control of entire towns, ISIS has been much more open about its long-term goals: namely, the establishment of an Islamic state spanning Iraq and Syria that should evolve into a Caliphate encompassing the entire Muslim world, and eventually the whole world. This is reflected in ISIS official media output from Syria emphasizing the "promised project of the Caliphate" and interview testimony with fighters in Syria who emphasized the need for the ISIS project to cover the whole world. This sort of messaging has still not come to the forefront yet in Iraq where ISIS at present has no major urban strongholds. In Fallujah, it is one of several factions on a militants' council with other insurgent groups, which is an arrangement analogous to the situation in many Syrian towns with an ISIS presence before infighting broke out at the start of this year. Outside of Fallujah, ISIS' main bases are in the deserts of Anbar province and Ninewa province, where the group runs training camps. ISIS is also entrenched in the underground in the city of Mosul, from which the group was never quite dislodged even during the height of the surge and Sahwa (Awakening) movement. 3. 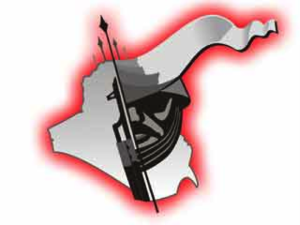 Ansar al-Sunna was one of the original insurgent groups from 2003. What is its ideology, where is it based, and how active is it? 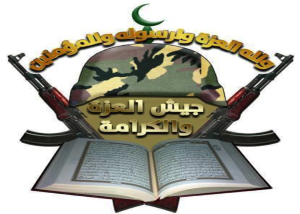 Ansar al-Sunna is currently in the manifestation of Jamaat Ansar al-Islam ("Group of Ansar al-Islam"), which has existed since at least 2007. Ideologically, given its ultimate roots in the original Iraqi Kurdistan al-Qa'ida affiliate Ansar al-Islam, the group's manhaj("program") is identical to that of ISIS. The group believes in the establishment of a Caliphate, uses the derogatory term 'Rafidite' for Shi'a, and is willing to denounce as 'murtaddeen' ('apostates') those who work with the security forces regardless of whether they are Shi'a or Sunni: this phenomenon is known as takfir in jihadi discourse. One other notable overlap between ISIS and Jamaat Ansar al-Islam is the thread of thought in seeing the Iraq and Syria insurgencies as one common struggle, and the group has deployed a small contingent to Syria under the name of 'Ansar ash-Sham': while precise locations are not revealed, the group appears to be playing a role in Hasakah province in northeastern Syria. Indeed, that is logical, for the group is primarily based in Ninewa and Kirkuk provinces and carries out a plurality of its operations in these areas, but it has also been able to carry out attacks in Salahaddin province and occasionally Diyala and Baghdad areas. One notable area where it has not been able to compete with ISIS in terms of influence is Anbar province. However, more generally, the level of activity does not compare with ISIS. On a national scale, Jamaat Ansar al-Islam could carry out a few dozen attacks in a month, while ISIS can carry out hundreds just in Ninewa province. Primarily this has to do with manpower and financial resource differences: ISIS is far more powerful in these regards. 4. Other older militant organizations have recently announced their return to the fighting as well. This includes the Islamic Army, the 1920 Revolution Brigades and Hamas Iraq. How much are these groups participating in the current conflict, and where have they been the last several years? The majority of members of these groups switched sides from the end of 2006 onwards with the advent of the Surge and the Awakening Movement, spurred both by disillusionment with the conduct of what was then ISI as well as realization that the overall insurgency was losing against the government. However, the Islamic Army never quite went away, and continued to direct operations primarily against coalition forces, but decided to go dormant and set up the Sunni Popular Movement activist group in 2012, which played a role in the Sunni protests last year. After the massacre of protestors at Hawija in April, the Islamic Army proceeded to claim some operations coordinated with tribesmen against the security forces, but has now fully re-emerged as an active insurgent group since the start of this year, being part of the insurgents' council in Fallujah. Moreover, it has just started releasing videos of operations: I count two already from Anbar. The 1920s Revolution Brigades reactivated at the start of this year and is also part of the Fallujah council, but lacks the Salafist orientation of the Islamic Army, and went completely quiet in the period 2007-2013. The Hamas of Iraq's status by contrast is heavily disputed because the revolutionary-minded insurgents (i.e. those who wish to overthrow the government completely) and their supporters say it is tied to the Muslim Brotherhood-orientated Iraqi Islamic Party, which is widely disparaged as "Hizb al-Istislam" ("Party of Surrender") for being a supposed collaborator with Maliki. Accordingly, all reports on the Hamas of Iraq say it is coordinating with the security forces in Anbar. 5. 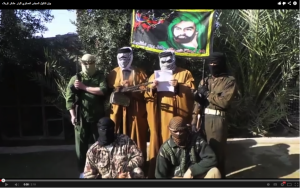 The Jaish Rijal al-Tariqat al-Naqshibandi (JRTN) is led by Izzat Ibrahim al-Duri, Saddam Hussein's former number two. It along with ISIS are the two largest insurgent groups in the country. Where is this group carrying out operations, and can you explain its Baathist-Sufi ideology? JRTN is more subtle than ISIS, Jamaat Ansar al-Islam and the Islamic Army in how it claims operations. Most of the videos that can be found online directly under its label date from years back during the time of the U.S. presence. After the U.S. withdrawal, videos have been released directly under the JRTN label on an occasional basis showing attacks on bases of the "American enemy" (apparently, JRTN still thinks there is a U.S. military presence in some areas). However, far more output on JRTN activities is channeled through its activist wing Intifada Ahrar al-Iraq, where JRTN fighters are generally just labeled "revolutionaries of the tribes" (a generic term for insurgents in Sunni activist discourse). An overview of all this content shows the group is active throughout the north and west of Iraq as well as Diyala province. JRTN is particularly strong in Ninewa, Kirkuk and Salah ad-Din provinces, but like Jamaat Ansar al-Islam, the group lacks ISIS' manpower and finances. Yet unlike Jamaat Ansar al-Islam (which is willing to target Shi'a civilians), its focus is solely on targeting the security forces, including mortar attacks, IEDs and gun battles. The Ba'athist-Sufi ideology reflects its members' history in the Ba'ath Party and primary adherence to the Naqshibandi Sufi sect in Iraq, of which Izzat Ibrahim al-Duri has been a leading member. To an extent, the Sufism cannot be dismissed as a total farce, and the group expounds on the importance of traditional mystical Sufi principles like tasawwuf, and cites traditional Naqshibandi Sufi figures such as the Syrian scholar Ibn Abidin (1784-1836 CE). This expounding on Sufism potentially has appeal for those to whom ISIS' global jihad ideology does not appeal. At the same time, it would seem that this Sufism is very much secondary to the Ba'athist ideology, whose influence is immediately apparent in the logo showing pan-Arab unity. It would seem the Sufi side is primarily to give a more general religious face with the language of jihad, in the knowledge that Iraqi Arab society generally became more religious from the 1990s onwards. Beyond the pan-Arab imagery, the Ba'athist ideology is also apparent in the occasional attempts at cross-sectarian messaging: thus in a statement denying claims it is behind car bombings in Kirkuk, JRTN claimed that the government was responsible and equally targets Iraqis of all sects and ethnicities. Through Intifada Ahrar al-Iraq, JRTN has claimed to set up Shi'a military tribal councils in areas like Karbala, but it seems unlikely that this is anything more than a token gesture at best, and staged propaganda at worst. 6. The Pride and Dignity Army was first announced in 2012 at the Anbar protests. Has it become an actual armed faction now? There are certainly insurgents going by the name of the Pride and Dignity Army operating in Anbar, Mosul and Salah ad-Din province, most notably. The group also claims to have a "general leadership" that issues statements. That said, it seems to be more of a banner than an organization with a real command center, and thus could be seen as analogous to the Free Syrian Army, though nothing suggests that the Pride and Dignity Army has emerged as a broadly popular banner as an alternative to JRTN or ISIS. 7. When the fighting in Anbar started Military Councils were established in several cities. Are these Councils connected to any of the insurgent groups? The original new military council was the general Anbar council, and its composition reflects members of the older insurgent groups except ISIS like the 1920 Revolution Brigades, the Islamic Army of Iraq and JRTN. However, most of the subsequent military councils that emerged in other areas were revealed on video via Intifada Ahrar al-Iraq, demonstrating that they are front groups for JRTN. Corroborating the video output, on Facebook, one sees that the military councils established in the Mosul and Diyala areas featured JRTN social media graphics. 8. Many militants participated in the Sunni protest movement. Can you explain which ones were involved and what was their role? The two main militant groups that participated in the Sunni protest movement were the Islamic Army of Iraq, which has its Sunni Popular Movement that is to be distinguished from the "Herak Six Provinces" movement that coordinated protests across Baghdad, Anbar, Diyala, Salah ad-Din, Kirkuk and Ninewa provinces. Members of the Sunni Popular Movement participated in the protests, but did not necessarily see themselves as rivals of the Herak Six Provinces. That said, whereas Herak Six Provinces had a program of articulating a particular grievance each Friday (e.g. executions of prisoners deemed innocent), the Sunni Popular Movement also had the wider goal of wishing to create a Sunni federal region. In contrast to the Sunni Popular Movement, the JRTN with its activist wing Intifada Ahrar al-Iraq tended to set up its own protest sites. In accord with JRTN's revolutionary outlook on the need to overthrow the 'Safavid' government, the protests organized by Intifada Ahrar al-Iraq tended to be much more radical. Corresponding with areas where JRTN influence has been strongest, Intifada Ahrar al-Iraq protest sites could be observed in the Tikrit area, Hawija area, and Ninewa province. One common slogan at the sites was "Qadimun ya Baghdad" ("coming oh Baghdad") a common JRTN slogan reflecting a belief in the need to recapture Baghdad from the supposed Safavid occupiers. Another case-in-point of radicalism is the use of the slogan "the people want announcement of jihad." 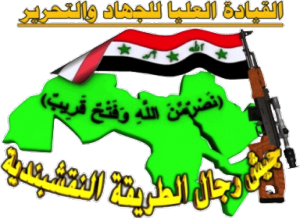 Whereas this slogan appeared widely after the Hawija massacre in April as part of calls to defend protest sites, it was already being used at the Intifada Ahrar al-Iraq site in Hawija, indicating quite clearly the protestors wanted a confrontation with the security forces. Intifada Ahrar al-Iraq also tried to demonstrate occasional cross-sectarian messaging in its protest activism, claiming in May a joint Sunni-Shi'a prayer session against the Safavid government. Once the Hawija massacre happened, Intifada Ahrar al-Iraq declared that the time for sit-ins was over, and by June new protest activism output ceased. The most controversial group as regards protest involvement was of course ISIS, which was cited by Maliki as the reason for moving in to crack down on the Ramadi protest site. In the early days of the protests (say January-Spring 2013), ISIS members and supporters congregated in Fallujah, which became a gathering point for extremists, and people could be seen waving ISIS banners. Later on throughout the year, ISIS members would occasionally hold parades in the sit-in square in Ramadi, but the sit-in square was always almost empty. The government's narrative that the protest camp was providing cover for ISIS is not really accurate. 9. You mentioned the Hawija protest site, which was the scene of a government crackdown that left dozens dead and wounded in April 2013. Was JRTN just part of many groups there or did it actually control the demonstrations in Hawija, and was it trying to provoke the government into a crackdown, which could then be used an excuse to turn to armed struggle against Baghdad? The latter. Perhaps not all those who gathered at the protest site were JRTN, but there is no doubt that the organizers and main component of the protests were Intifada Ahrar al-Iraq and the group was looking for a confrontation that could then be invoked as a cause for reviving a wider insurgency. The government thus played right into JRTN's hands. Though I mentioned above the sloganeering for jihad, any sympathy for the government's side of the story was significantly hurt by the fact that most of the protestors who were killed were in fact unarmed as Intifada Ahrar al-Iraq claimed. 10. The government of Prime Minister Nouri al-Maliki and many western analysts and news reports have blamed the Syrian War for the re-birth of Iraq's insurgency. What do you think about that argument? I think this argument overlooks the Shi'a-led government's own failings. The primary problem the government has faced in dealing with ISIS is a lack of local Sunni Arab cooperation, which is driven by resentment about the tendency for security forces to engage in mass arrests, harassment at checkpoints, lack of new job opportunities on account of the failure to reform de-Ba'athification, failure to integrate Sahwa militiamen into the security forces, and the unabated continuation of mass executions of detainees. On the wider level of security failings, there are the prison breaks carried out by ISIS- most notably in Baghdad in July, boosting the group's manpower- and the use of bomb detectors that do not work. To be sure, not all of these problems are the fault of Maliki. For instance, reforms to de-Ba'athification must be passed by parliament, and Maliki, working with deputy premier Saleh al-Mutlaq, did put such reforms to parliament, but both Sadrist opposition- despite a tendency in media to characterize the Sadrists as supporters of Sunni protest demands- and obstinacy from Mutlaq's rivals within Iraqiya led to the failure of the legislation. However, there is no doubt that Maliki bears the blame for two key incidents that significantly helped boost wider Sunni Arab sympathy for the insurgency and have brought us to the situation now where Fallujah is out of federal control: namely, the Hawija massacre, and the move on the Ramadi protest site. The fact is that the security forces responsible for these actions were answering directly to him. It is true that acting defense minister Sa'adun Dulaimi, an Anbari Sunni, called for a crackdown on the Hawija site, but he has no real power and is just a figurehead for Maliki. The Ramadi move was a particularly egregious mistake, and perhaps there is no explanation for it beyond Maliki's wish to rally Shi'a support for the upcoming elections. I think a key weakness in the Syria argument is that it ignores ISIS' own view of Syria as an imtidad ("extension") of the Iraq front, and transfers of manpower to launch new offensives have primarily gone from Iraq to Syria rather than the other way around. Thus, one key front ISIS has been fighting on is in Hasakah province in the northeast of Syria against Kurdish militias and Assad regime forces. To reinforce its positions, ISIS has brought in reinforcements from Ninewa province, which it has also used as a base of retreat in the face of setbacks in Hasakah province. This is not to deny that some men for ISIS have gone into Iraq from Syria to fight, for example, I have seen testimony and social media output from ISIS fighters in Syria that shows some foreign fighters who arrived in Syria from elsewhere (e.g. Tunisia and Kuwait) are heading over the border, but on balance Iraq is exporting ISIS manpower and resources into Syria rather than a strict two-way exchange. One other key case-in-point is the New York Times report recently that noted how large numbers of the detainees freed in the Iraqi prison breaks went to join the ISIS war effort in Syria, which is what I among others predicted would happen. So in short, the Syrian civil war has not definitely helped the security situation in Iraq but the government's own shortcomings are the primary driving factor behind the rebirth of the insurgency. For Iraqi Kurdistan, the story is slightly different, because it would appear that some of the attacks we have seen there in the past six months (most notably the irbil bombings in September) are the work of Iraqi Kurdish fighters who initially went to Syria (through the Nieawa-Hasakah transit area, not Anbar-Deir az-Zor) to fight for ISIS. 11. From 2006-2008 many of the older insurgents went over to the Americans and joined the Awakening and Sons of Iraq program due to their opposition to ISIS and its tactics. Do those tensions still exist with the Islamic State? I think the situation is very mixed. You can find no shortage of insurgents and their supporters from both JRTN and the Islamic Army of Iraq who refer to ISIS by the derogatory Arabic acronym da3esh and emphasize they are not linked to ISIS. Relations are worst with Jamaat Ansar al-Islam, which accuses ISIS of killing and imprisoning its members and acting as if it is a state rather than an ordinary group: this has sparked clashes many times in Mosul and Kirkuk areas. Yet I have seen others in insurgent circles- such as the JRTN-linked Mosul military council and some pro-uprising media outlets- hail ISIS members as the 'lions of the desert' and commend them for their fight against the government. Despite claims of a strict separation and hostility between ISIS and the other insurgents in Fallujah, the fact is that the group is part of the wider militant council in the city and there is no sign that ISIS has overplayed its hand (e.g. the group has not executed local policemen en masse, contrary to initial fears), even as it has come to establish an Islamic virtue-and-vice committee and its members can be observed giving sermons in local mosques. Many locals in the city and in the nearby areas such as al-Karma have shown appreciation for ISIS' fight against the government. In short, the ISIS presence in Fallujah is broadly tolerated, and it is only going to be uprooted if ISIS attempts some sort of unilateral power grab that alienates fellow insurgents in the city. 12. What do you see as the future of the insurgency in the next couple years now that it has been revived? It all very much depends on ISIS' conduct. The group's overall popularity in Iraq has undoubtedly increased among Sunnis and it poses a much more serious terrorist threat than before, while the other groups primarily threaten federal control in areas with large Sunni populations. I would say in the medium run (i.e. over the next couple of years) I am pessimistic, as ISIS' influence in particular will continue to cause civilian casualties in at least the high hundreds per month. Combined with sectarian retaliations from the likes of Asa'ib Ahl al-Haq, I think we are looking at over a thousand civilian deaths per month as a new norm. I do not believe the revived insurgency can bring a return to the carnage of 2006 but it will be a time scale of years before we go back down to the 2011/2012 levels of violence, which at the time I thought would be the norm for years to come. In the long-run (i.e. over the next 5-10 years), as the Syrian experience shows, ISIS could well end up alienating too many rivals, putting a stop to its growing successes, and perhaps the government could exploit the infighting, but true long-term stability needs to come with political reforms to reduce Sunni perceptions of marginalization and reducing the heavy-handedness of the security forces.